In 1817, when the Banat region was celebrating the 100th anniversary of its liberation from the Ottoman Oppression, a historic moment took place in Oraviţa: the inauguration of the Old Theatre, the first theatre ever founded in the entire present-day Romanian territory. Back in 1868, the theatre threshold was crossed by none other than Mihai Eminescu, who at that time was on tour with Mihail Pascaly’s troupe as a prompter and second secretary to the director. Only later when the importance of this building was realised during the Communist regime was the name changed to the Old Mihai Eminescu Theatre. Since 1957, it has been listed as a historic monument (code LMI – CS-II-m-A-11154). Today, Oraviţa has stopped hosting theatre shows and musicals as it did in the old days; but the director of the Old Mihai Eminescu Theatre, Prof. Dr. Ionel Bota, is doing everything he can to ensure that the doors of the first Romanian theatre stay open for visitors. In this way, by the end of the 18th century Oraviţa had already become one of the most important economic regions of the Habsburg Empire. This news also reached the professional theatre groups of Europe, the artistic education of the Austrian miner-colonists being well known, an education they’d brought all the way from their native country where the high arts comprised an earnest tradition. 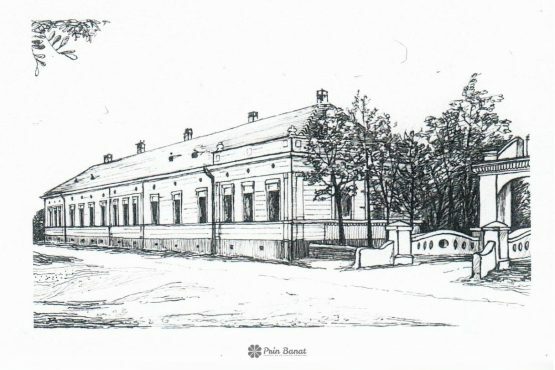 As such, after the year 1720, theatre shows began to be held in improvised locations in Oraviţa, such as the post office, the Mining Treasury Headquarters, and a former professional school. Testimonials of these performances are plenteous. In the “Magistrate transcript of Kudritz”, the death of the actor Arnold Bacher on 9 August 1763 is recorded.3)Ionel Bota – O prioritate culturală românească în Mitteleuropa. Teatrul Vechi din Oraviţa, 1817, ediţia a II-a, Grupul de Publicaţii “Caraşul”, Oraviţa, 2011; cf. I. Bota, Istoria Teatrului Vechi din Oraviţa, volumul I, Reşiţa, Editura TIM, 2003; volumul II, 2005; volumul III, 2007 He was only 33 years old and was part of Antonius Eintrag’s troupe, which was returning from Oraviţa where it had held shows. Another play, Graf von Waltron, was performed in 1788 for the officers of an artillery regiment from Ticvaniul Mare. The performance was staged at the post office with the collaboration of local dilettantes. In 1793, Peter Eiric, the owner of the Crown Hotel, arranged a permanent theatre space in the conference hall of his hotel. There, in addition to performances put on by touring theatre troupes, other shows were also organised by the Dilettante Club of Oraviţa, which was founded prior to 1800 and whose members would end up contributing to the effective construction of the first theatre in the present-day Romanian territory. During our visit to Oraviţa, the director of the Old Mihai Eminescu Theatre, Prof. Dr. Ionel Bota, pointed out to us that expressions such as “the first theatre” can often lead to misunderstandings. The shows which took place in improvised spaces happened not just in Oraviţa, but also in Sibiu and Arad long before the first building dedicated to theatre was established. “There is a tower in Sibiu where the swabians used to smoke bacon. That space was also used for shows but only when it was necessary. They would set up a stage and that was it. If you go to Arad, you will hear the same story: the goods storage belonging to the Jewish man Jakob Hierschl was the place where they held theatre shows, but only when it was necessary. Here, this building (the Old Mihai Eminescu Theatre) was built specially for this,” Prof. Bota told us. The idea of building the Theatre was also due to the work of many women. “An Austrian operator was not a man who could stay and rest his bones in Vienna, but was rather a man always waiting for surprises. When the Emperor would want something: ‘Ah, you’re an iron specialist! You take your family and move to that place!’ And they wouldn’t come back. And then, the women form this first series of economic elites—of course, through cultural and spiritual extension—put out the idea of building a theatre. Because they were upset, right? ‘The men have their business and what are we supposed to do?’ Then there was also their envy for their friends in Vienna”, Prof. Bota told us. In 1817, while the entire Banat area was celebrating a century since its liberation from Ottoman rule, the Oraviţa locals were preparing for the inauguration of the theatre. The big event was scheduled for the 1st of July, but things got pushed back until October, since it was known that the imperial family (Francis I of Habsburg-Lorena and Caroline-Augusta of Bavaria) were about to arrive in the lands of Caras and Almaj. The official inauguration of the Old Theatre of Oraviţa was a bit unusual. Instead of one show, there were two: one on 5 October and another on 7 October 1817. In order to avoid an official announcement or press coverage of the imperial family’s upcoming visit to the theatre in Oraviţa, an elaborate travel route was devised which also included Sasca Montana and Bozovici. It was all arranged so that the royal retinue and 77 other officials could attend at least one of the shows, the first a work by J. von Weissenthurm and the second by Fr. Ziegler. 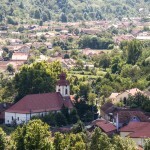 At the present moment, the Old Mihai Eminescu Theatre of Oraviţa is one of the most representative buildings of the mountainous region of the Banat area, which dates back to the period of Viennese expansion. From 1817 until today, the architecture of the edifice in Oraviţa has not changed; in contrast, its model, the Burgtheater in Vienna, suffered a series of alterations and, between 1886-1890 fell into disuse. “The conclusion is this sad truth: the copy based on a model became, after [the original’s] disappearance, the actual version”, claims Prof. Bota. Between 1872 and 1873, the structural strength of the building was modified, the main construction elements being until then made of only stone and wood. In this period, the Resita steelworkers applied an experiment: a recipe that had steel, cast iron, and carbon as its core. Named in the universal classification as Recipe 24, the concoction was used to reinforce the theatre. Later, the same recipe was requested from the steelworkers of Resita by Gustave Eiffel. “Same goes for the steelworkers of Graz, where the imperial steel mills functioned. On the basis of the recipes from Graz and Resita, he built the fragments of the base and up to the first level of the Eiffel Tower at the Creuso plants near Paris. If you go to Paris and you listen to the city guides, especially the ‘unofficial’ ones, you will hear them mentioning Graz and Resita. And then remember that this theatre was the first place to use Recipe 24.” The stamp of fabrication can be seen inside the theatre, with the name of Resita written in Hungarian: Resicza. On the first floor of the Old Theatre is the Casino Room, dedicated to the activities of the associates, societies, and cultural unions of the city and all of Caras, which was reorganised first in 1826, again between 1831 and 1832, and then by statute in 1836-1837. Today, the Casino Room is used by the Mitteleuropa Club, which organises cultural events such as book launches, painting exhibitions, documentary exhibitions, and more. In 1911, for unknown reasons, the original chandelier from the showroom of the theatre (which was gifted with an acetylene illuminating installation in 1857) was removed and taken to the White Church (Serbia). In its place, another one was mounted, made by a local firm, but this didn’t hold up either, being looted by the Serbian army in their retreat prior to 3 August 1919. In 1953, the chandelier which had been mounted in the interwar period, the third of its kind, was replaced with what can be seen in the theatre today, which was received as a donation from the Guban Firm of Timisoara. The chairs from the showroom of the theatre were installed in 1893 during a renovation which lasted approximately a year. Their purchase was personally funded by two men: Aurel Maniu, who was at that time representative from the Romanian electoral district of Caras-Severin, which had its parliamentary office in Oraviţa; and the Hungarian writer Mor Jokai, representative from the Hungarian electoral district of Caras-Severin, whose parliamentary office was in Anina. The audience had patience for the cultural act on stage. There are many Romanian theatre groups listed in the contract archives of the Old Mihai Eminescu Theatre in Oraviţa. Among these is the troupe of Mihail Pascaly, which performed in Oraviţa through the end of August 1868 into the first two days of September. 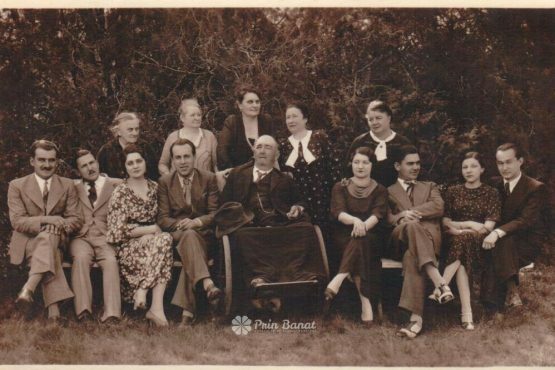 A member of this group was the poet Mihai Eminescu, who had the roles of prompter and also second secretary to Pascaly, who was the leader of the Dramatic Artists Society of Bucureşti in the Old Kingdom. At that time, the locals from Oraviţa did not yet know about Eminescu. In order to commemorate Mihai Eminescu’s passing through the Oraviţa theatre (along with Mihail Pascaly’s band), the Old Theatre took the poet’s name in 1949, becoming the Old Mihai Eminescu Theatre. “Of course we have kept the building’s name—he’s our national poet, we take pride in him. Some of the people don’t have the patience to hear about it, many times making faces. But it’s their business!” Prof. Bota tells us. The old Mihai Eminescu Theatre is on Mihai Eminescu Street, No. 18, and can be visited Tuesday through Sunday, between 10 A.M and 6 P.M. Also, every year at the beginning of August, the theatre hosts the International Festival Days of Music of Oraviţa. You can reach Oraviţa from Timisoara by DN59/E70 and DN57 (see map). In terms of accommodations and restaurants, the city has a pretty good array on offer. 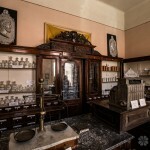 In Oraviţa, you can also visit the first pharmacy established in a mountainous region of Romania, which has been transformed into the Museum of Mountain Pharmacy History, and can be reached by means of the gorgeous Oraviţa-Anina railway. The Tower upon the Hill of Grădinari is also only 13 km away. We owe many thanks to Prof. Dr. Ionel Bota for the information and help he has provided, which led to the completion of this article! 1 comment at "The Old Mihai Eminescu Theatre in Oraviţa"